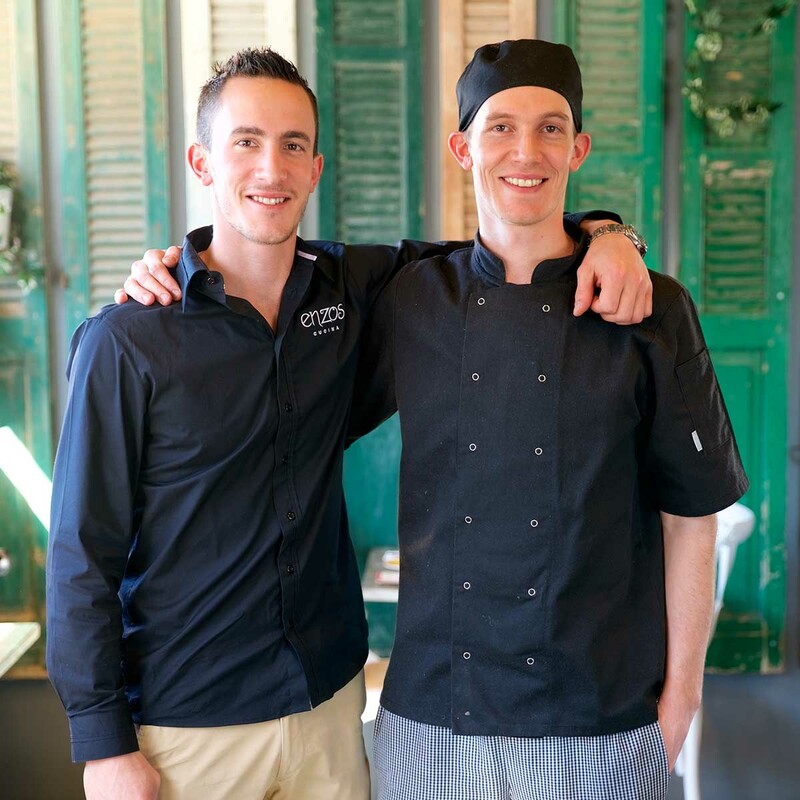 Enzo’s Cucina Gregory Hills is run by brothers Michael (head chef) and Steve (front of house). The restaurant has a modern and industrial feel and an open kitchen. The eldest brother Michael is a seasoned chef, having worked his way up from the first Enzo’s Cucina. Steve warms you and smoothly builds your dining experience, making sure you are comfortable, relaxed and enjoying every part of your meal. Patrons can enjoy the open kitchen, where Michael makes pasta dishes the same way he and his brother did with their grandmother. Enzo’s Cucina Gregory Hills is one of the largest with 160 seats inside and 100 outside. Gregory Hills has plenty of room for large functions, with seats at the bar and an intimate lounge area. Located just off the main road, Camden Valley Way there’s free underground and street parking, making it the perfect spot for bigger functions. Lots of free parking available,Take away and group bookings welcome.